Speeding tickets, DMV points and insurance points: What you need to know to keep your car insurance rates low. Many people often ask me how speeding tickets work in North Carolina. Basically you’re looking at three issues. Keeping your driver’s license! A guilty plea to a ticket of 15 miles per hour over the limit (or greater) will mean at least a 30 day revocation of your driver’s license. Never plead guilty to a speeding ticket without first consulting an attorney. We offer free consultations for anyone charged with speeding in Wake County. Insurance Points. Did you know that if you get a speeding ticket in Wake County you may also get anywhere from 1 to 4 insurance points? Just one point on your driving record can cause your car insurance premiums to go up by as much as 30 percent a year. Four points can drive your premiums up by as much as 80 percent! The most important thing for most of my clients is keeping their car insurance low. When someone gets a traffic ticket the goal is to not get insurance points as well. DMV Points. If you collect enough DMV points you can also lose your license. Generally if you get over 12 total points your driver’s license will be suspended. How do you fight these things? Hiring an attorney is the best place to start. 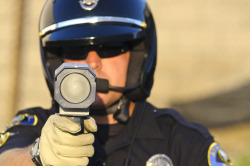 There are two important things to know about speeding tickets. Reductions! The Wake County District Attorney’s Office sees thousands and thousands of speeding tickets a year and they will generally offer you a reduction in exchange for a guilty plea on a reduced charge. NC SDIP. You may be allowed one speeding ticket for up to nine miles per hour over the limit every three years without an increase in your insurance premiums. This is called the North Carolina Safe Driver Incentive Program. Depending on your record a reduction of your charge to 9 over the limit might be a great option. PJC’s! North Carolina has this unique system that involves a Prayer for Judgement (PJC). This judge-made rule allows a judge to grant you a PJC after you have pled guilty to a charge. If a judge grants you a PJC it likely means no insurance points and no DMV points on your record. You are allowed one PJC every three years (per household) for insurance point purposes and two PJC’s every three years for DMV point purposes. All cases are unique. If you have received a speeding ticket or know someone who has please tell them to call my office for a free consultation about what we can do to help. The number to our office in Cary is 919-585-1486.